President Duterte has described the UK’s Oxford University as a “school for stupid people” after it published a research paper into the use of “troll armies”. As we have previously reported, the university’s report “Troops, Trolls and Troublemakers: A Global Inventory of Organised Social Media Manipulation”, claimed that Mr Duterte spent 10 million pesos on hiring social media trolls. As part of a study encompassing 28 countries, academics Samantha Bradshaw and Professor Philip N Howard claimed he had also used automated ‘bot’ accounts to post supportive messages during his presidential campaign, and continues to do so. In a press conference this week, the president admitted to spending the cash during the election campaign, but denied that it was ongoing. He said: “I do not need to defend myself against attacks. I stated my piece during my inauguration and my campaign. I’m not anymore eligible for reelection. “Oxford University? That’s a school for stupid people,” he added in Filipino. The research paper examined a wide range of countries across the world to gauge the prevalence of military or party political use of social media to influence the public. The report concluded that such practices were widespread. 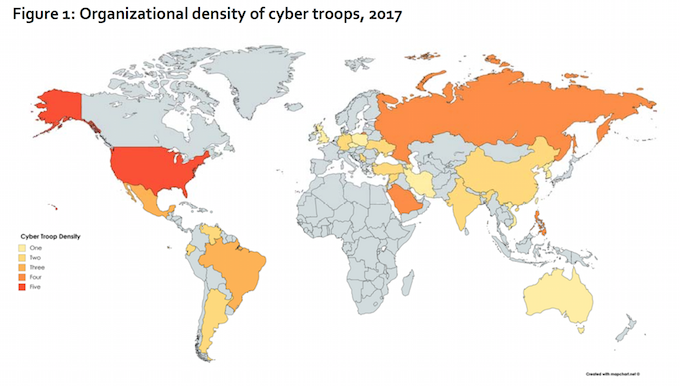 The report documented how “cyber troops” had been used to silence political dissent online and could often lead to real-life threats and damage to people’s reputations. In an apparent confirmation of the study’s findings, when this website published a report on the research, we were soon targeted by irate Duterte supporters. The University of Oxford, which was founded in the 11th Century and is consistently ranked among the top five universities in the world, has declined to comment on the allegations. If Oxford is school for stupid people, what is San Beda then?